This year Mark, one of our favorite history teachers, won the Provo School District Foundation Mini-Grant. 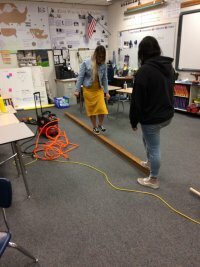 In order to receive these mini-grants, teachers had to explain their idea for an innovative project within a two-page application. 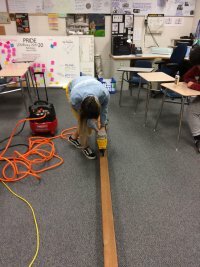 The completed applications was sent to the Provo School District Foundation Selection Committee who then selected 13 mini-grant winners. Winners are awarded $500 in order to fund their project and are expected to write a brief report describing the project’s outcome. 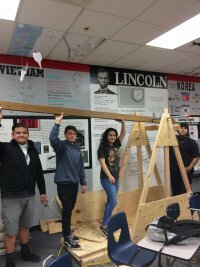 Mark likes to bring history alive for his students. 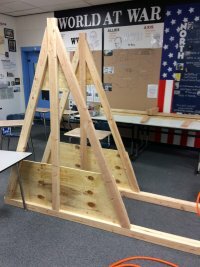 He will use his grant money to purchase the materials and tools needed to build a trebuchet, which is a catapult that consists of a large arm to launch projectiles. He hopes this will motivate students to come to school everyday. 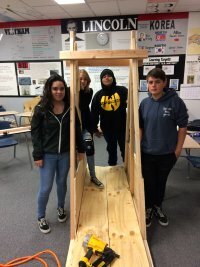 Not only does this project bring history to life, it also uses math and technical building skills. 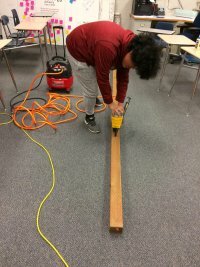 The students love this project and can’t wait for the final product to be finished.